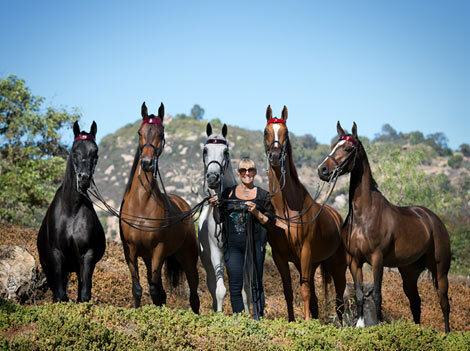 Helen Lacey Reed, pictured with five of her "mega-mares"
Out of the Canadian National Champion English Pleasure Open winner, Firelite DGL. 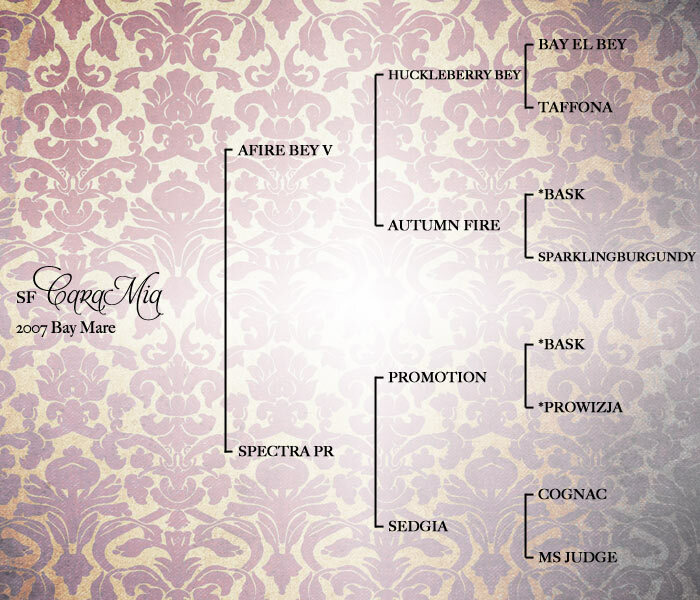 SF Specs Shocwave, SF Spellbound, and SF Specs Superior. 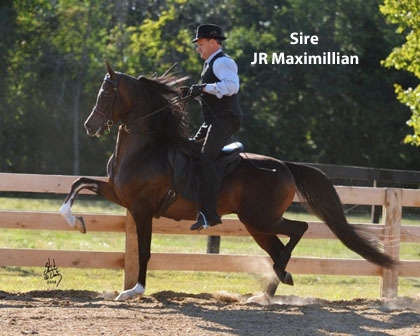 and sire, JR Maximillian (2005 - 2008). 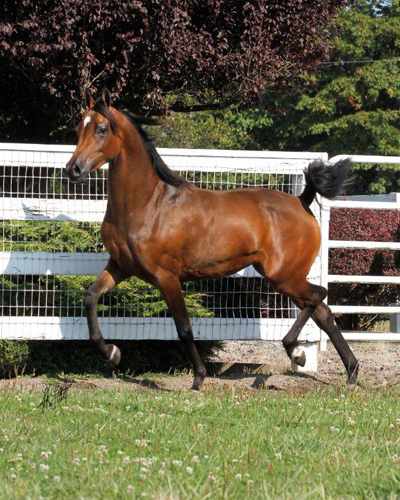 In foal to HA Toskcan Sun for 2017! 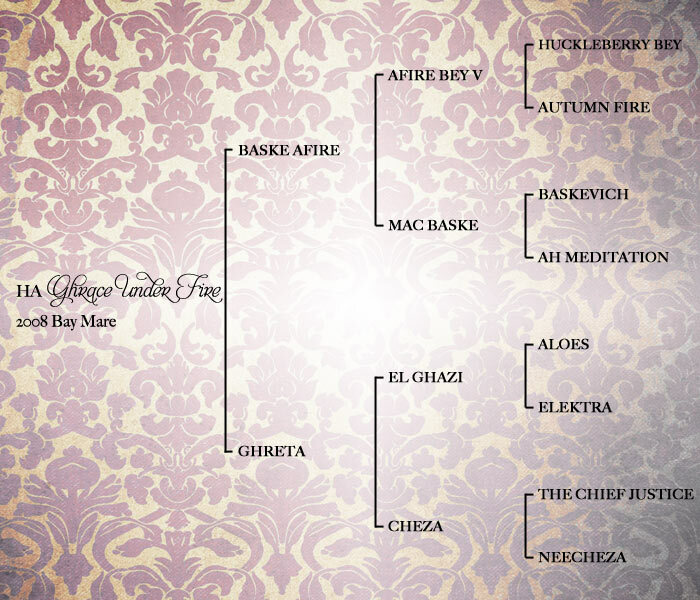 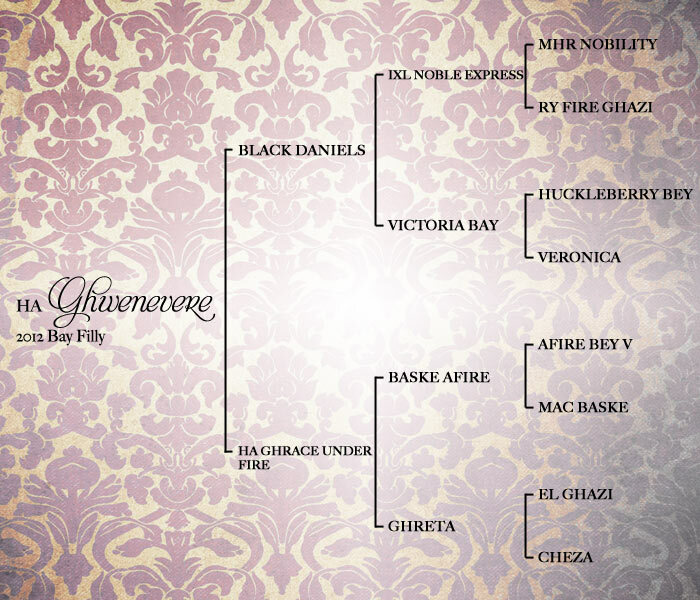 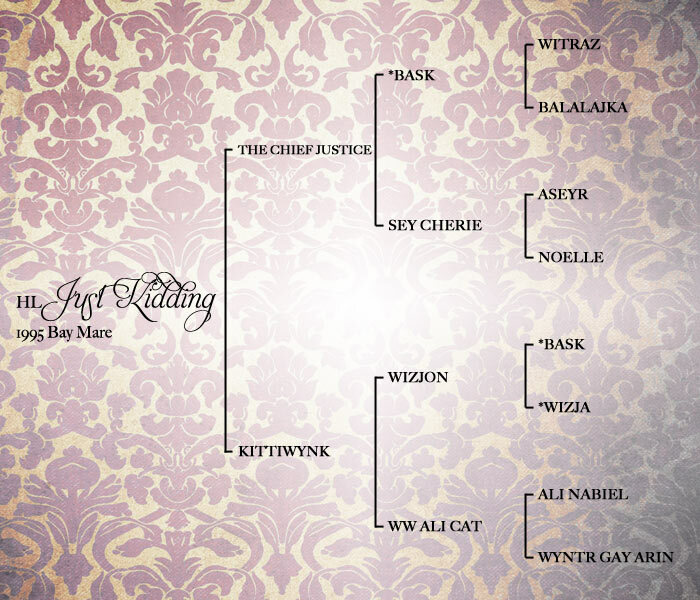 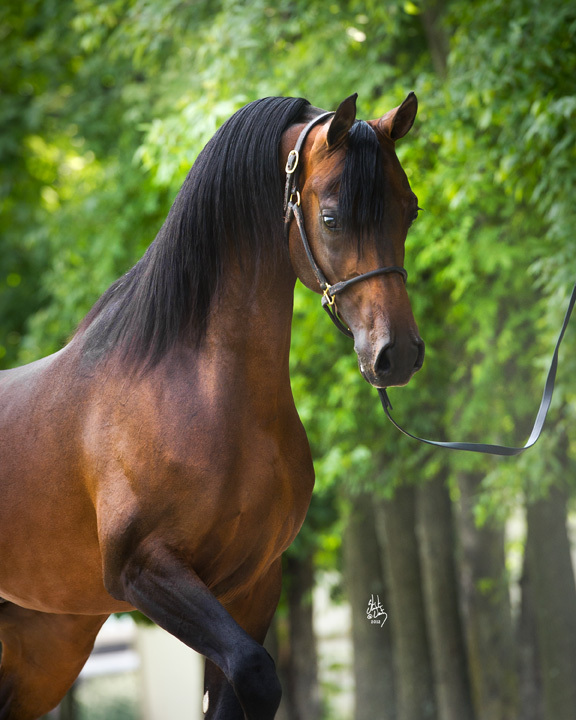 GSF Revolution (by Afire Bey V). 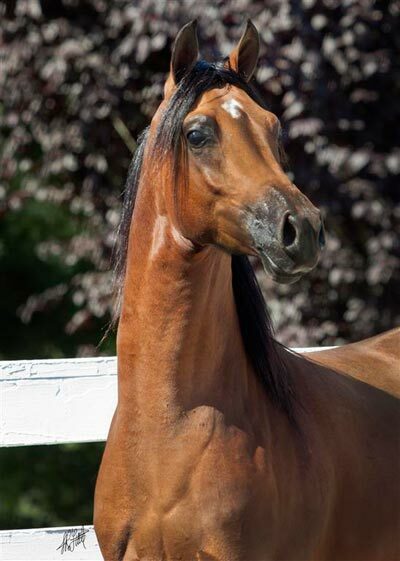 In foal to HA Toskcan Sun and Nutcracker's Nirvana for 2017! 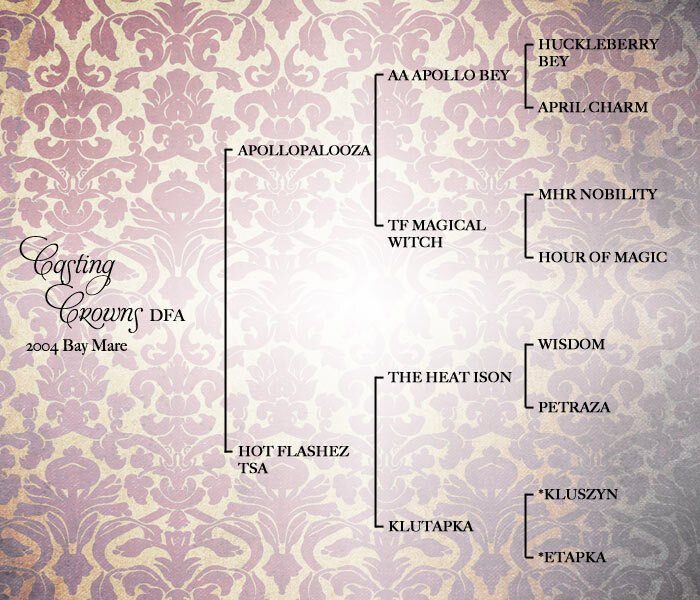 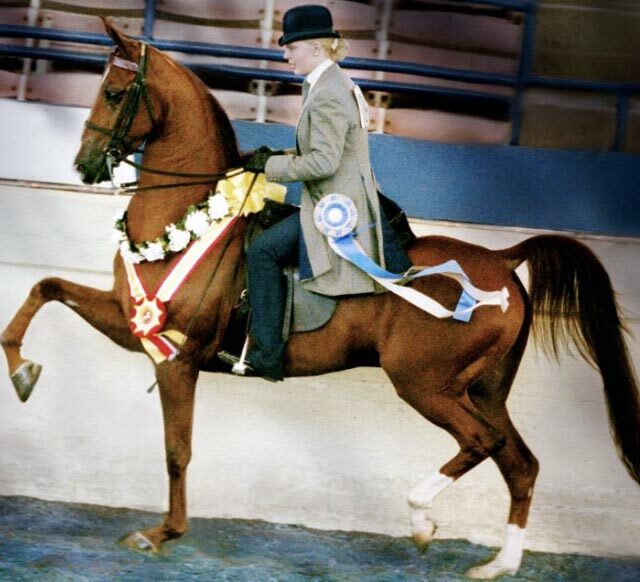 A full sibling to Multi-National Champion Country English Pleasure mare, Rumina Afire. 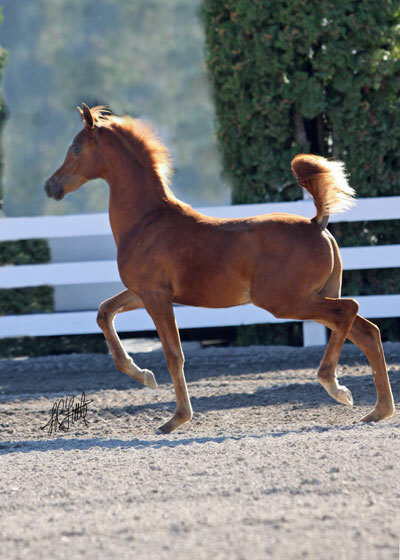 Expecting two foals from HA Toskcan Sun in 2017! 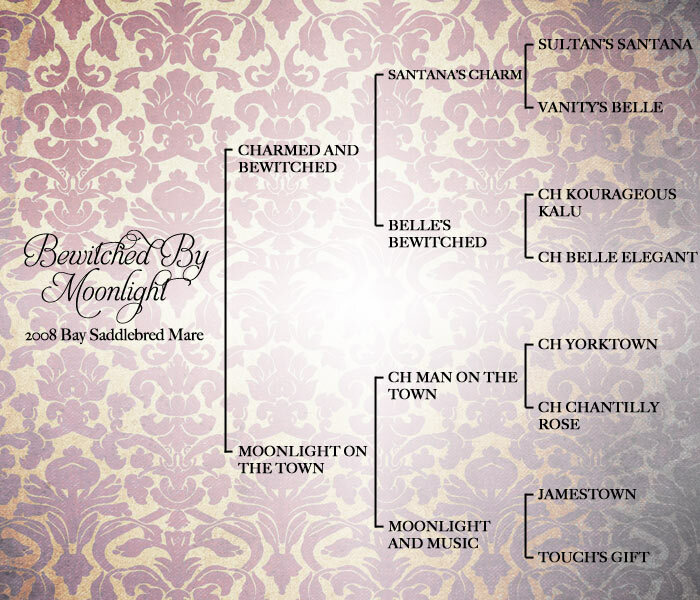 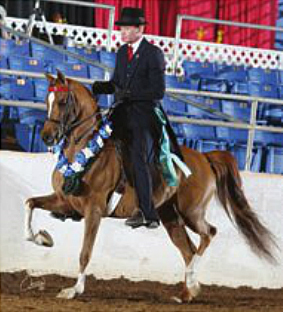 Top Ten winner and a 10-Time Regional Champion. 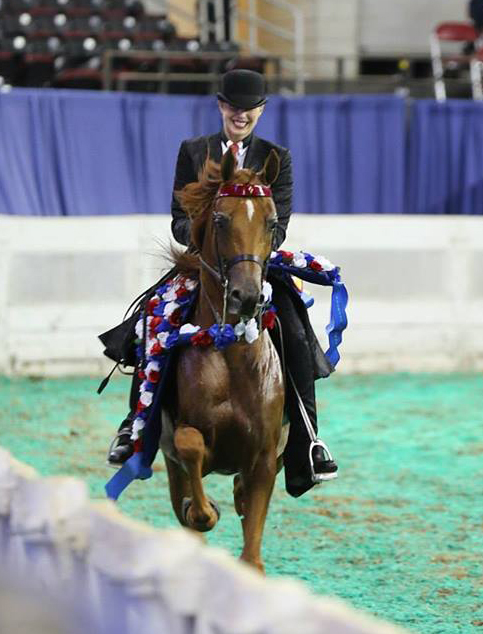 She's sired by a National Champion and is out of a National Champion. 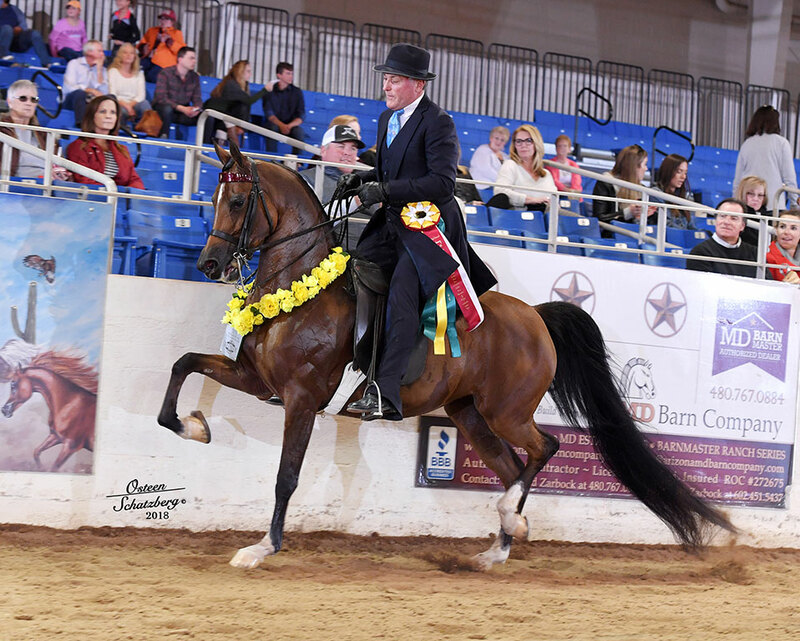 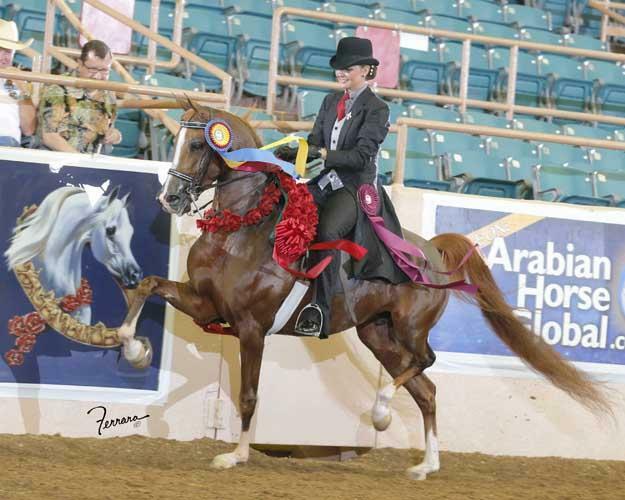 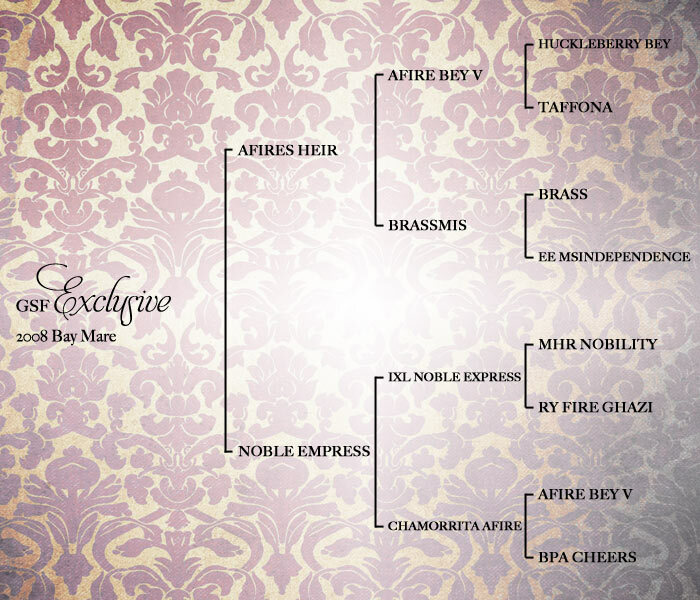 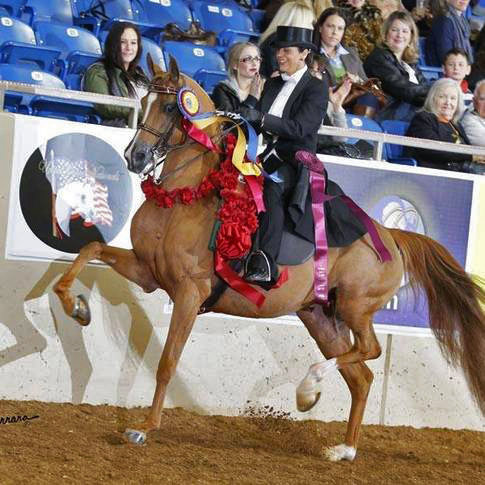 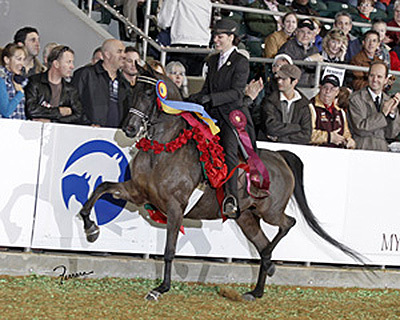 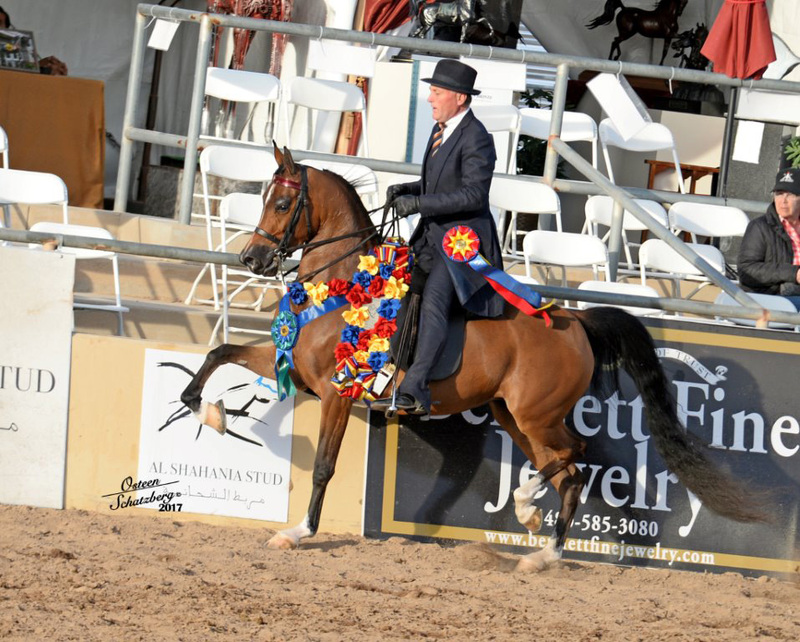 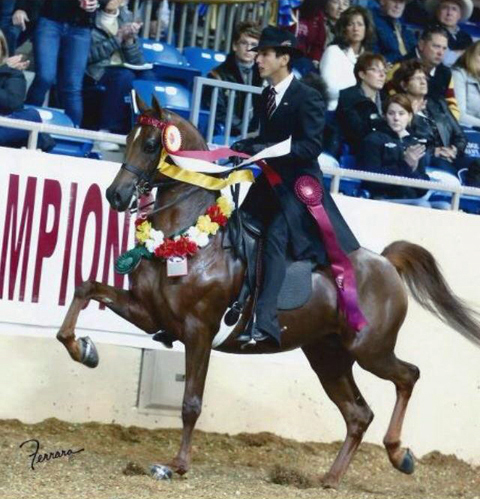 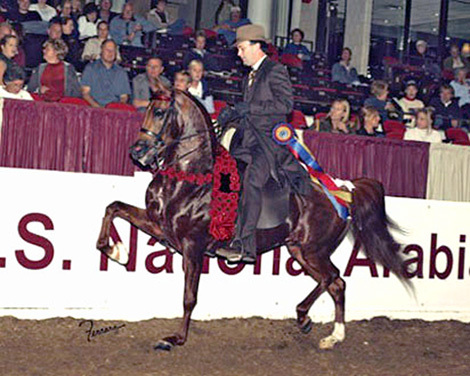 English Pleasure Futurity winner, Afire N Flames CB. 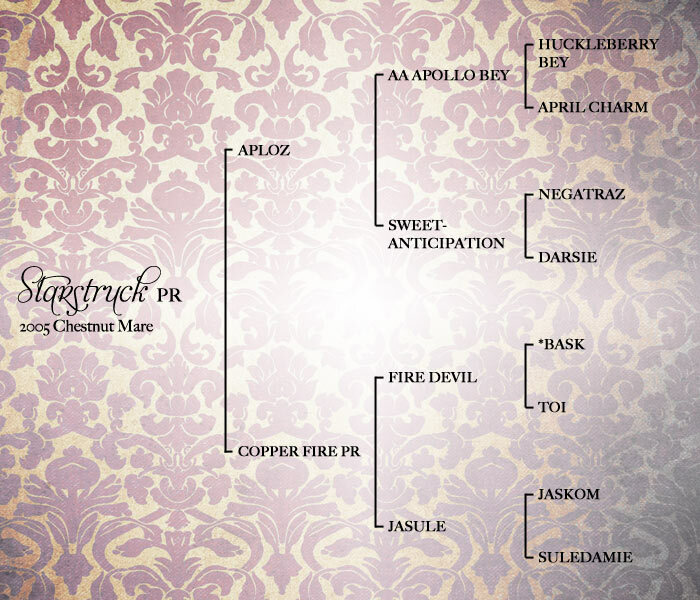 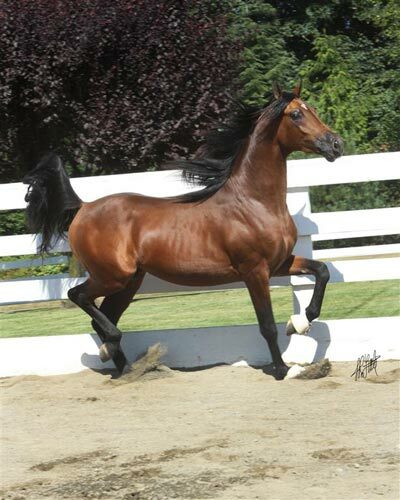 Dam of AEPA English Pleasure Champion, ROL Fire Mist (by Baske Afire). 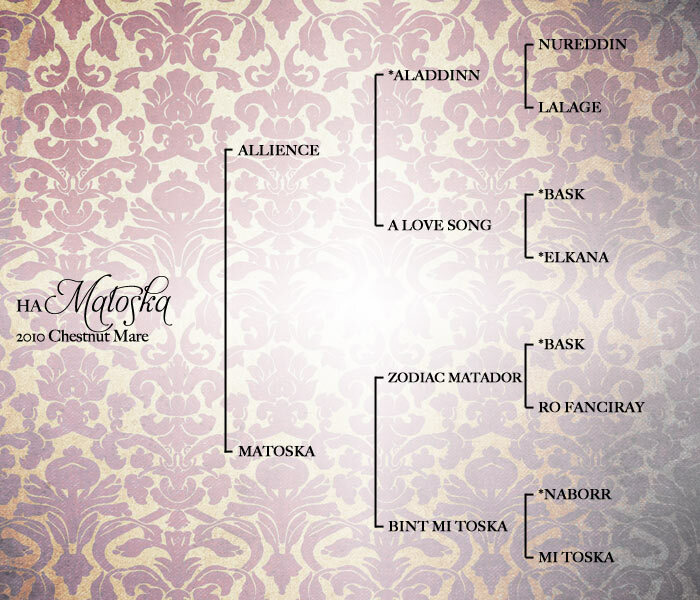 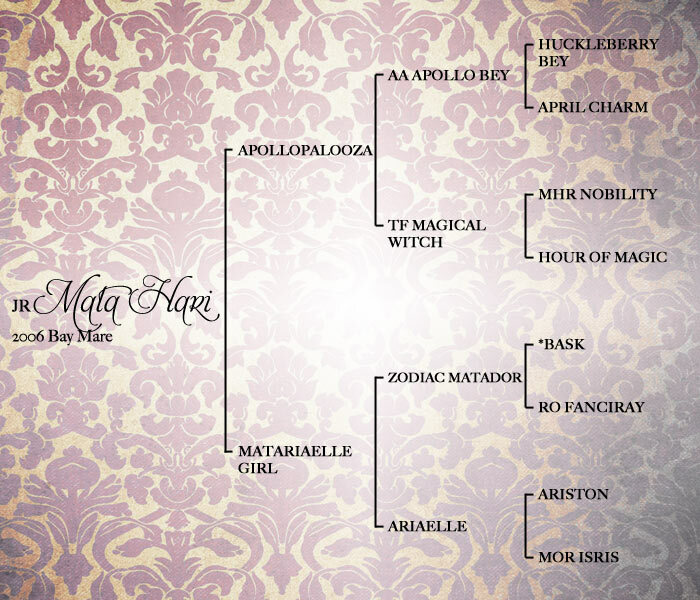 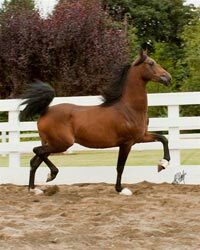 A maternal sibling to HA Toskcan Sun. 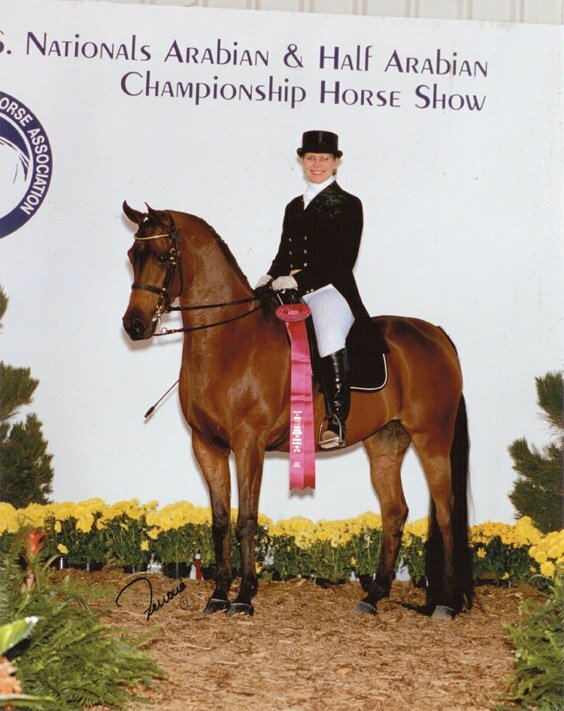 A full sibling to Multi-National Champion English Pleasure/Park mare, All Star. 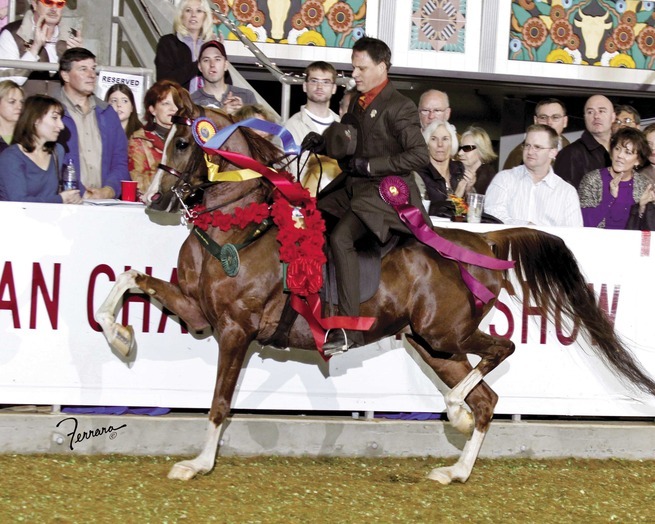 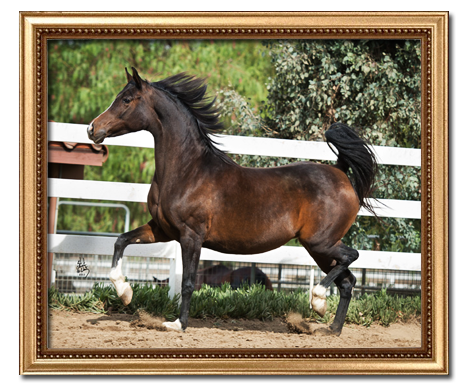 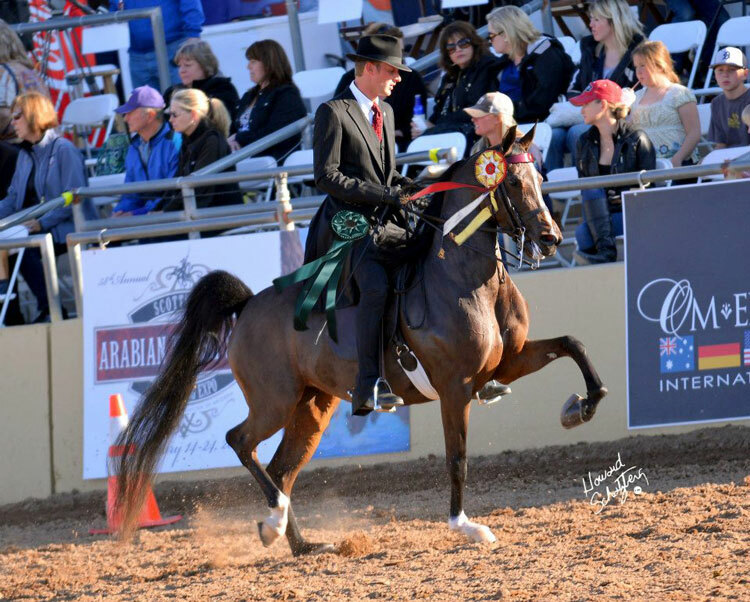 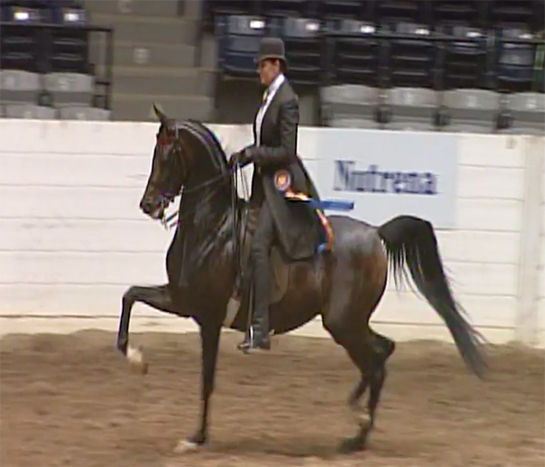 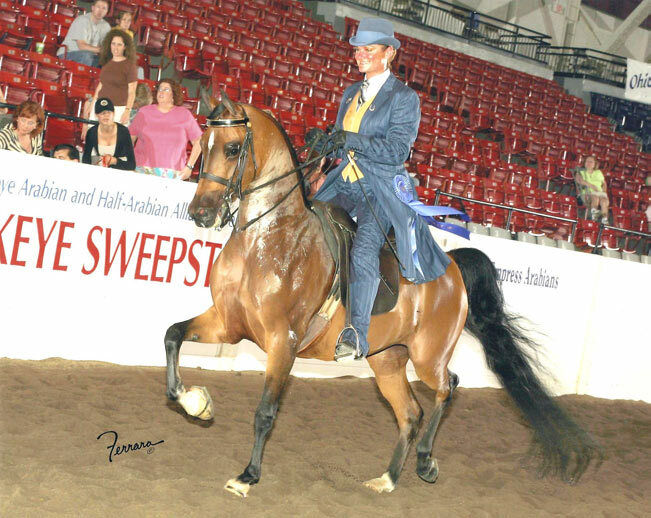 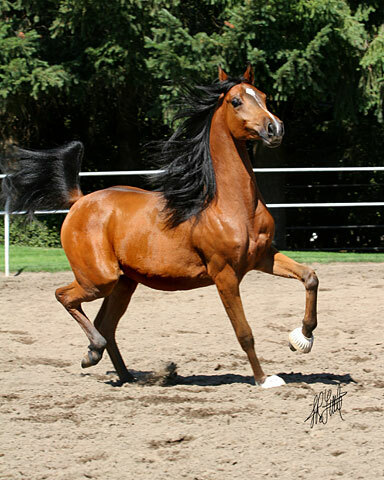 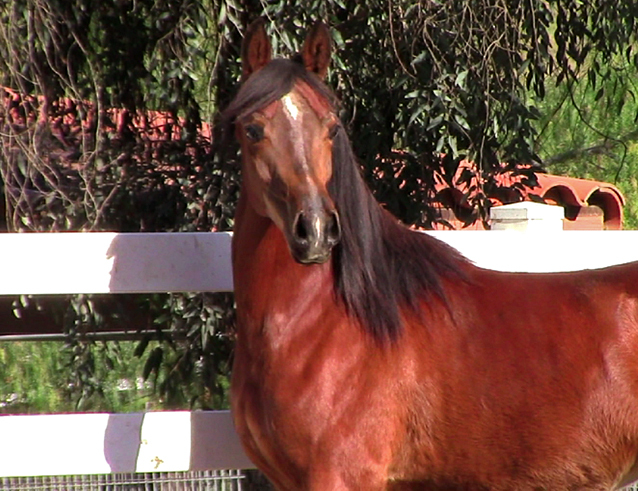 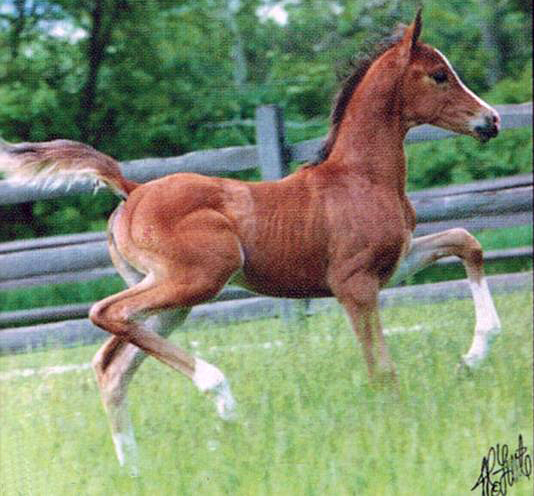 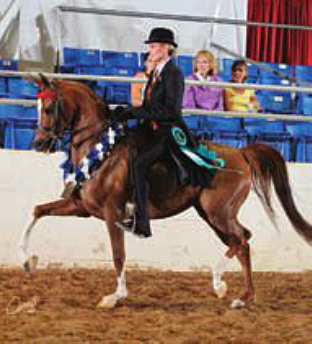 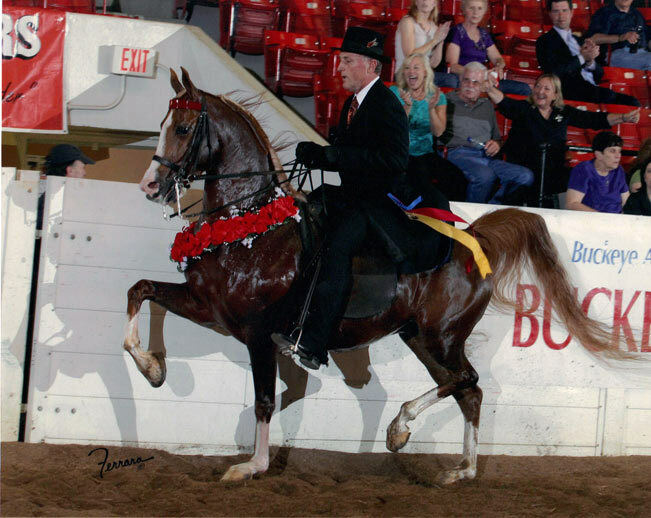 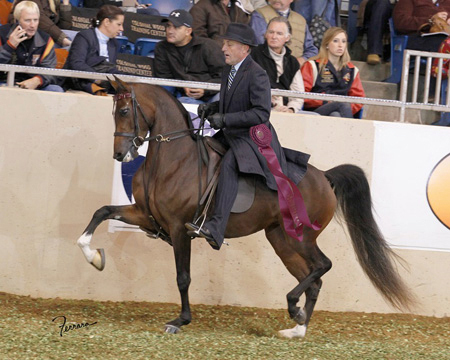 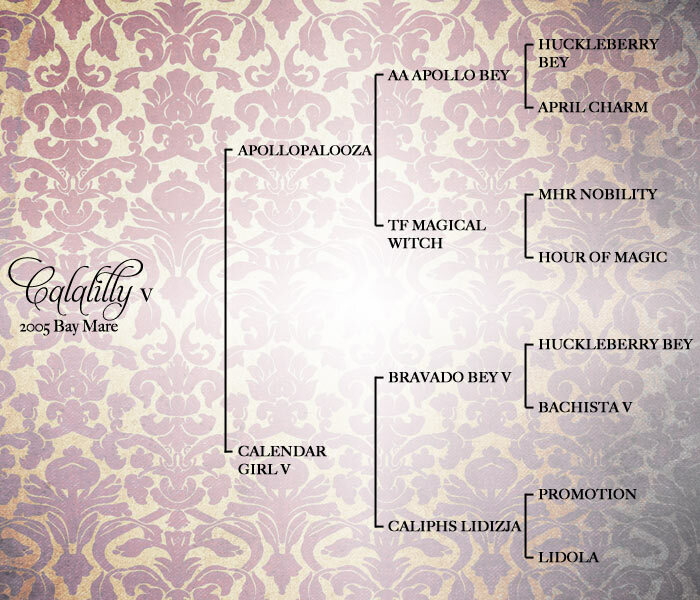 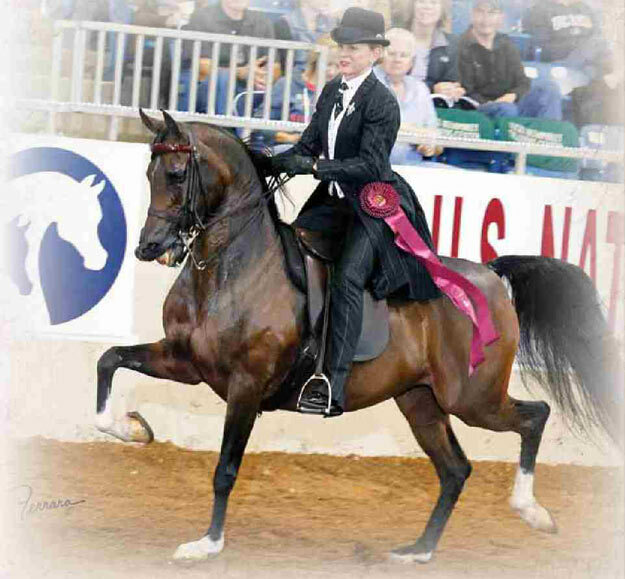 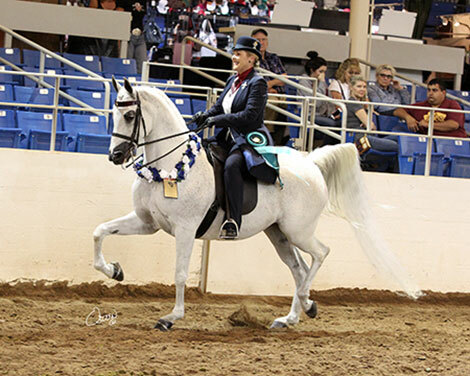 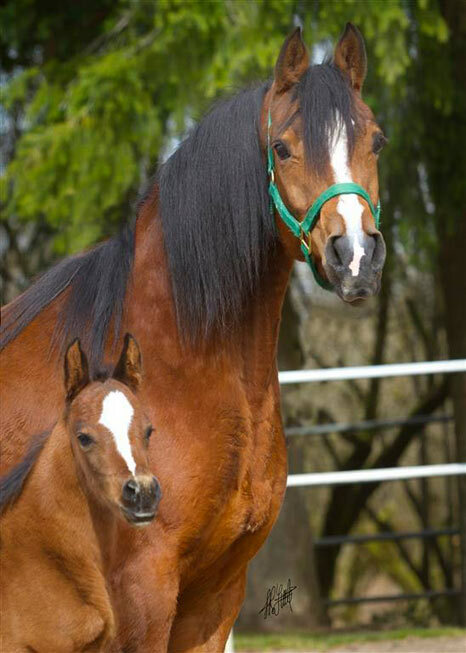 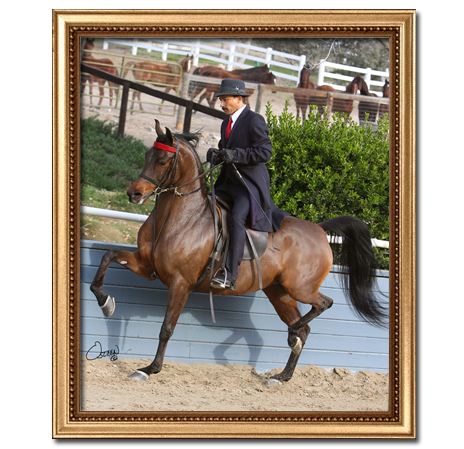 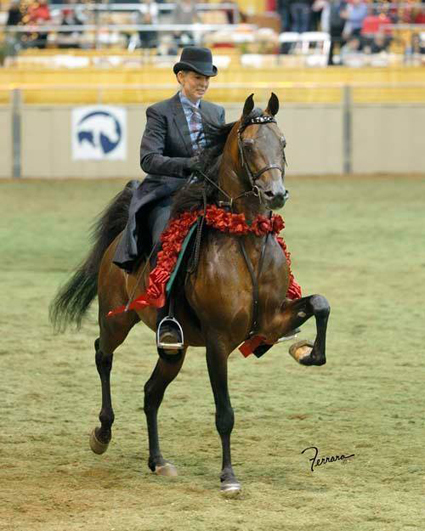 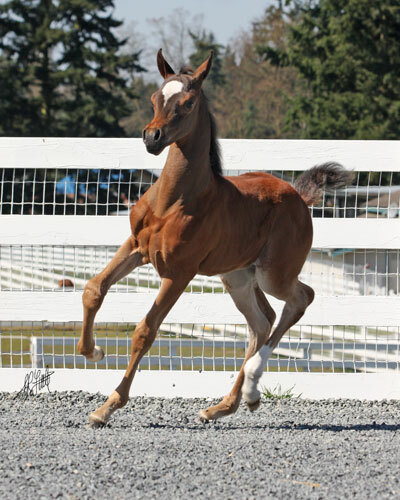 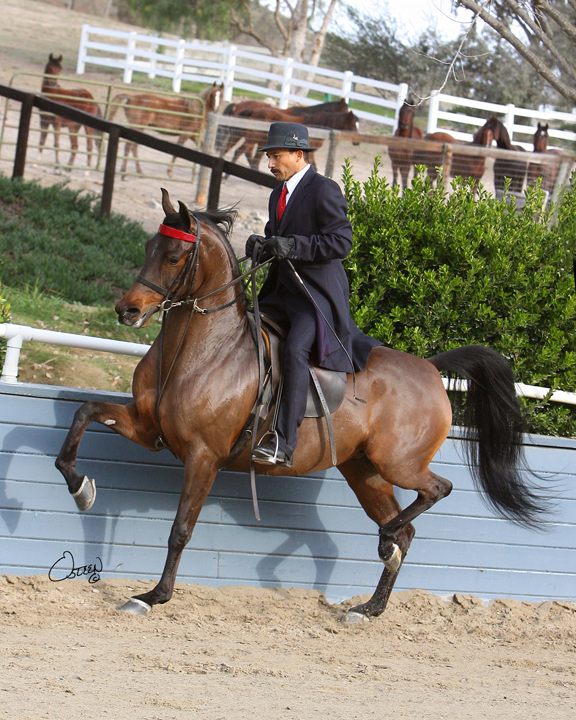 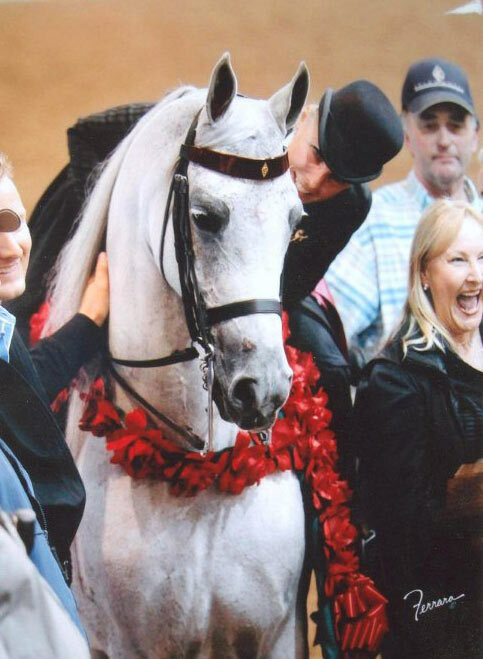 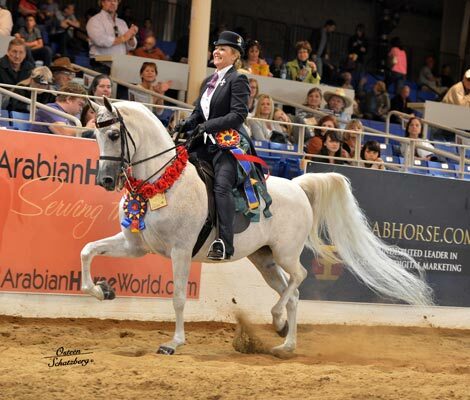 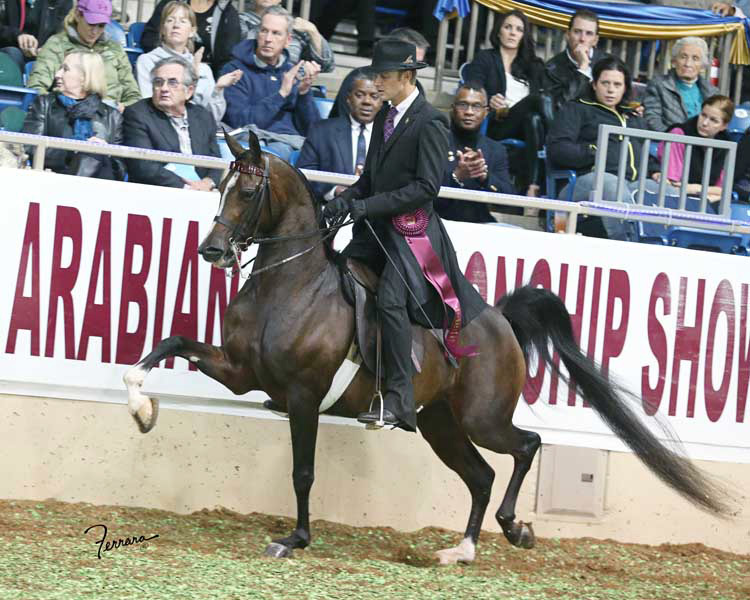 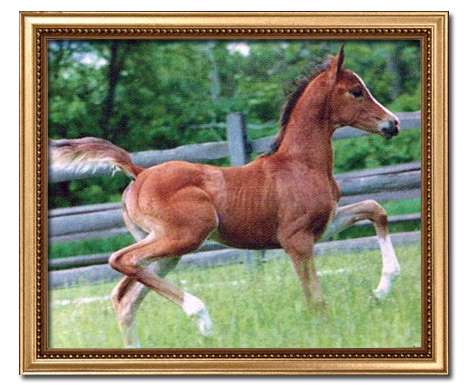 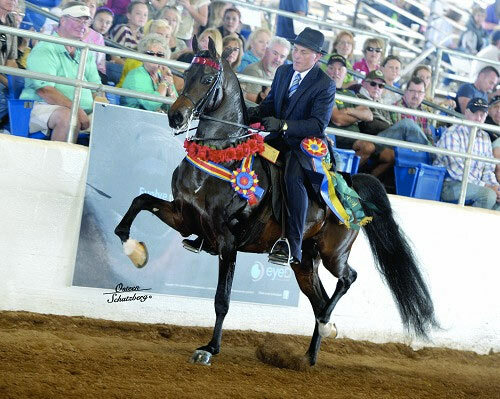 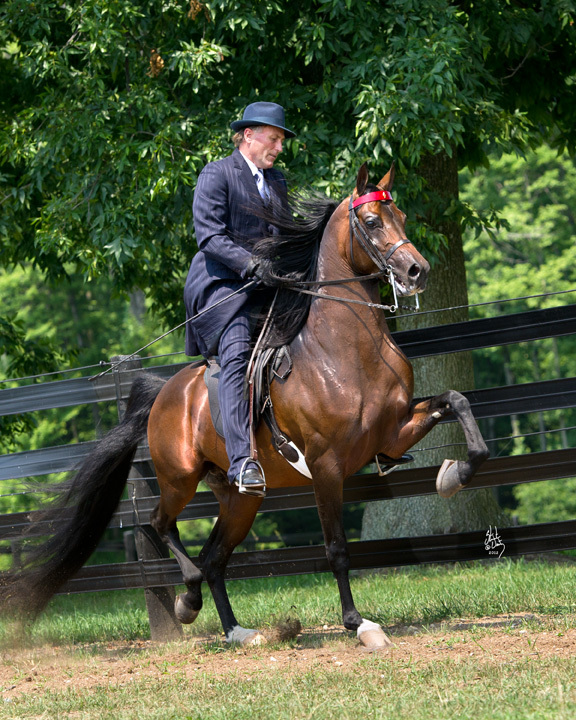 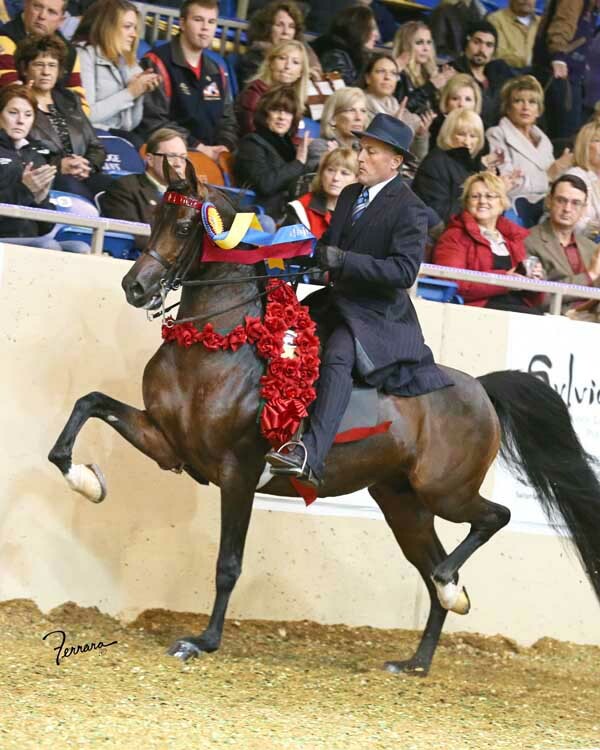 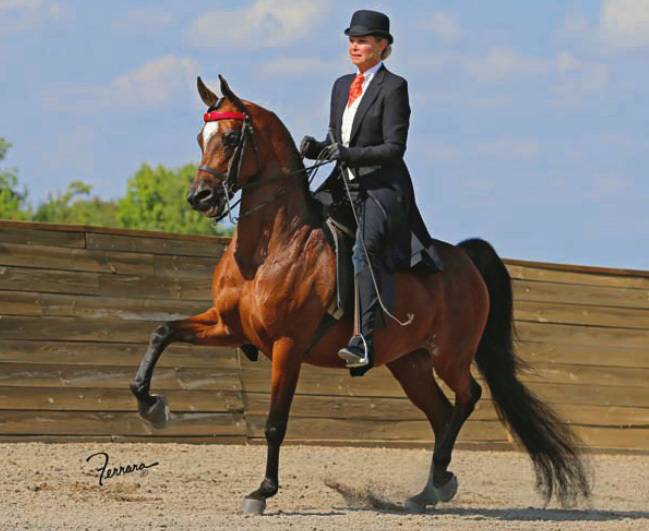 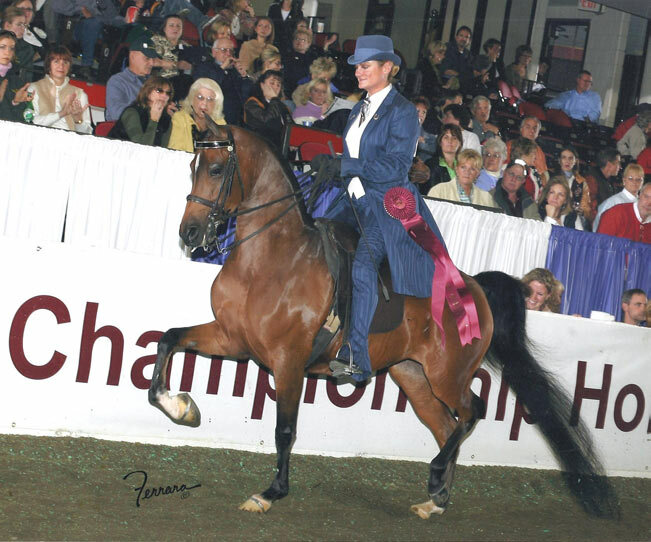 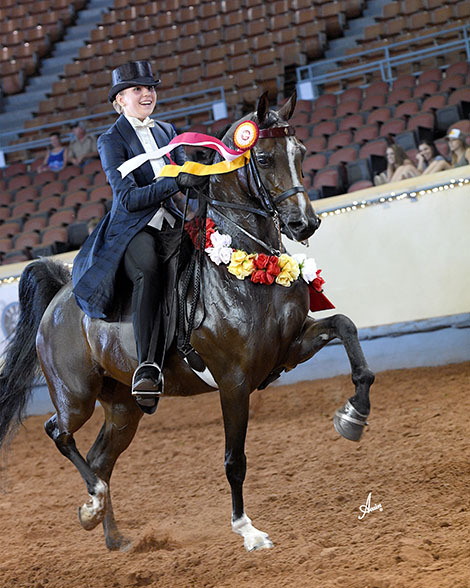 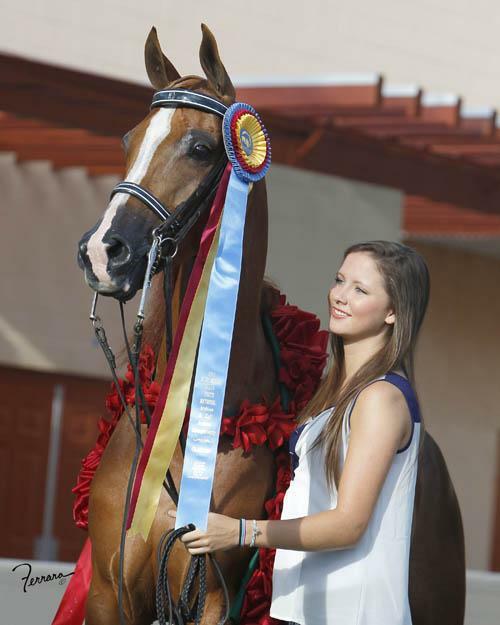 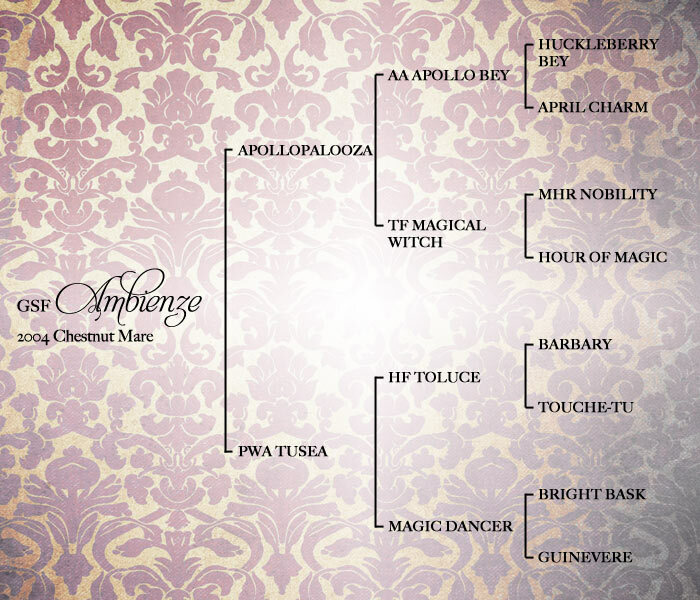 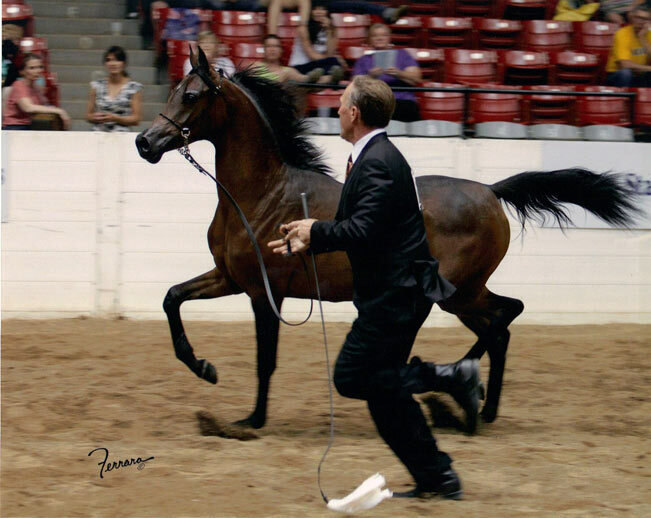 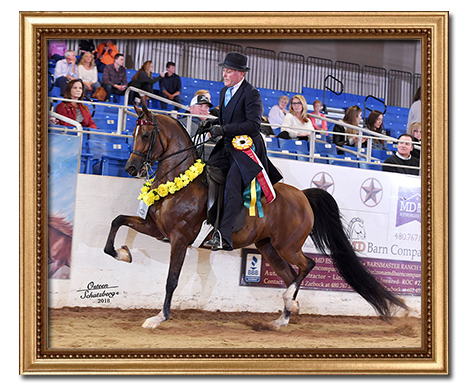 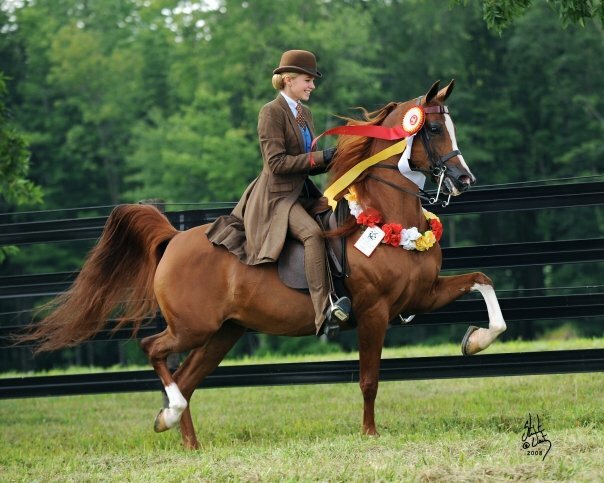 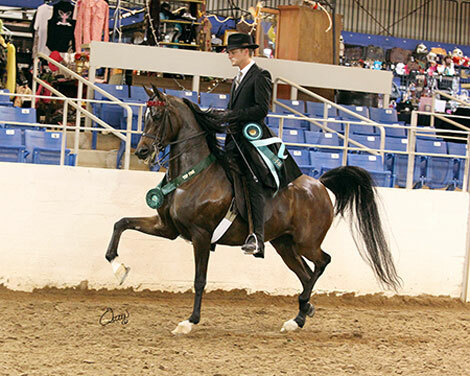 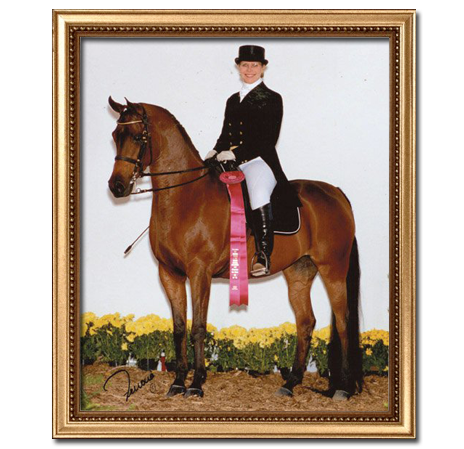 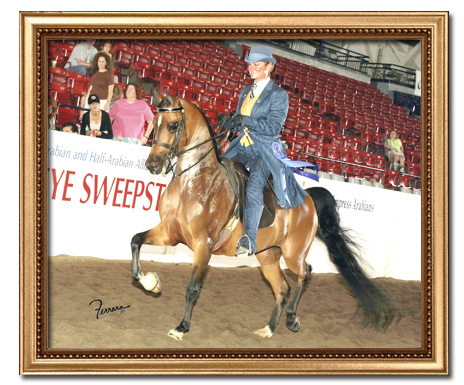 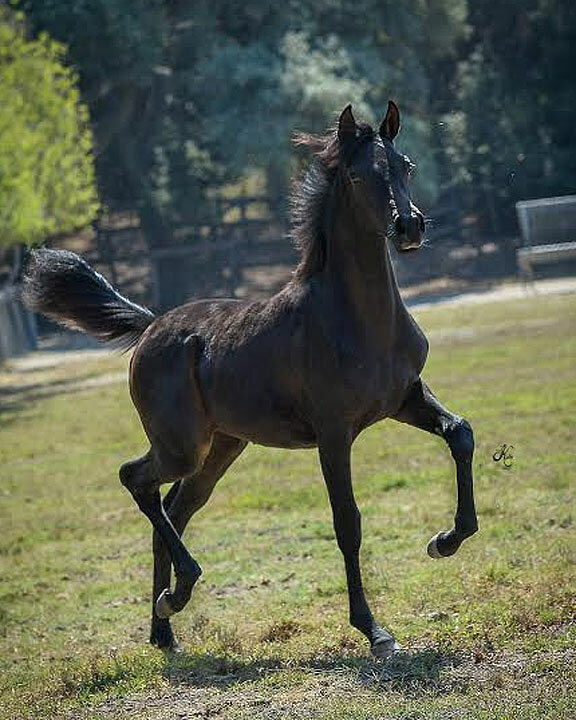 A full sibling to Multi-National Champion Country English Pleasure mare, The Way She Moves. 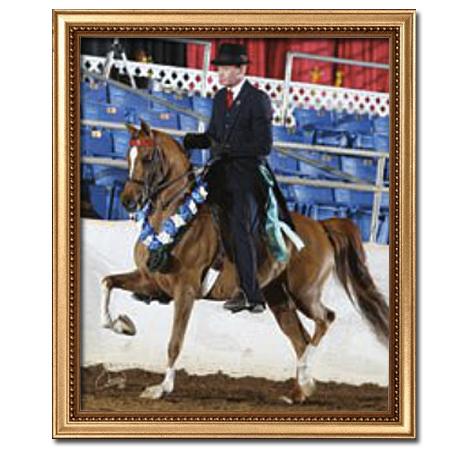 Now preparing for her English show career with Stachowski Farm in San Marcos, California. 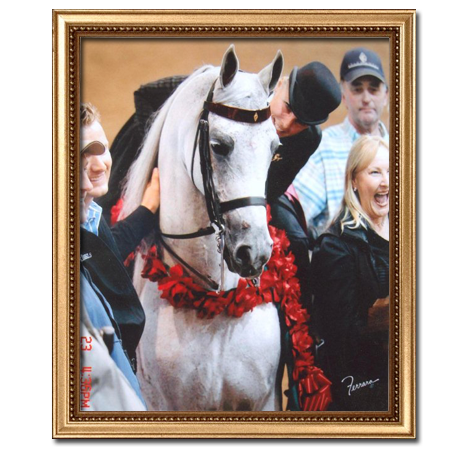 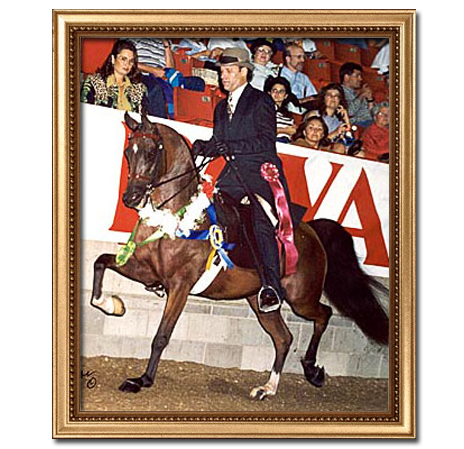 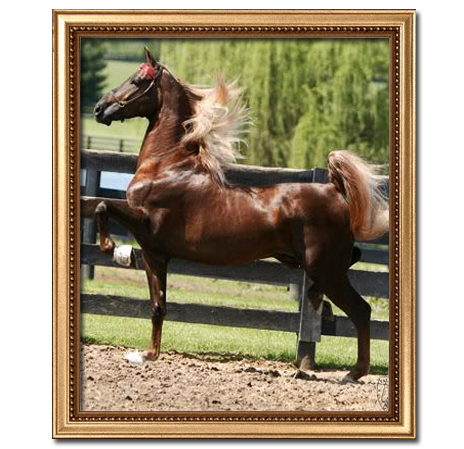 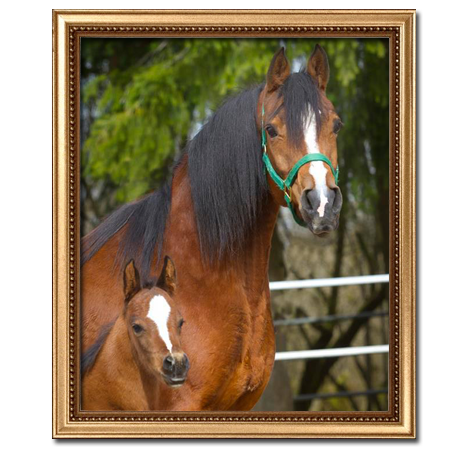 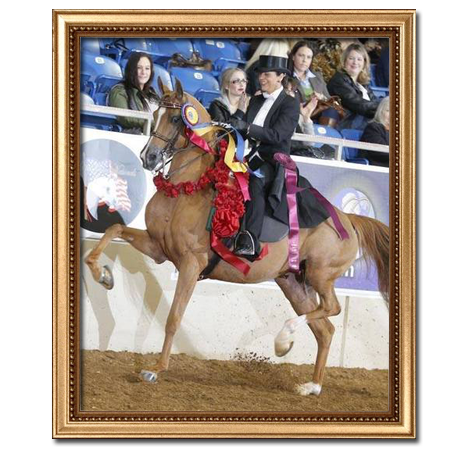 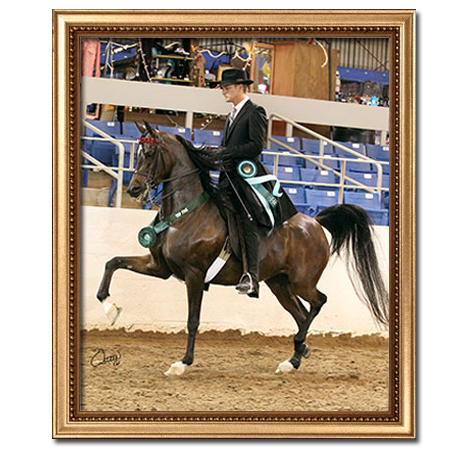 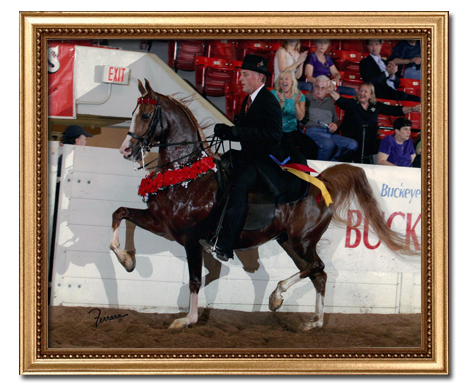 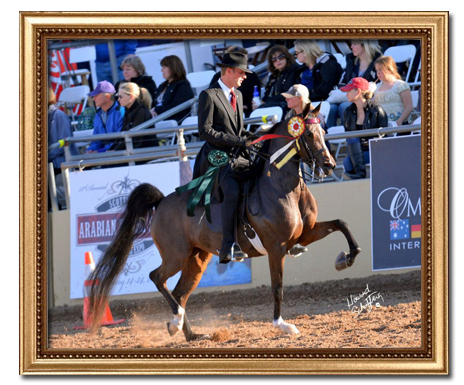 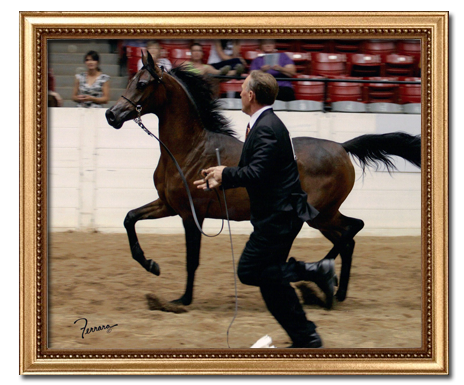 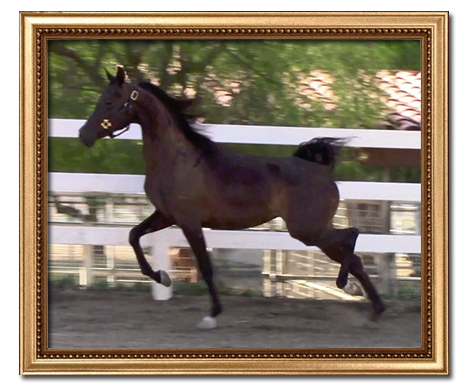 SOLD to Roger and Linda Lervick of RO Lervick Arabians! 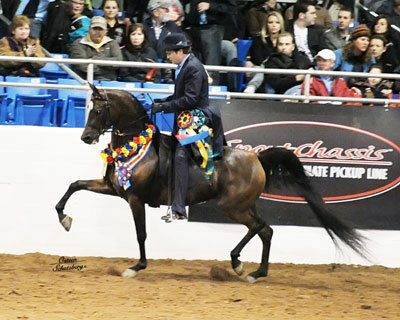 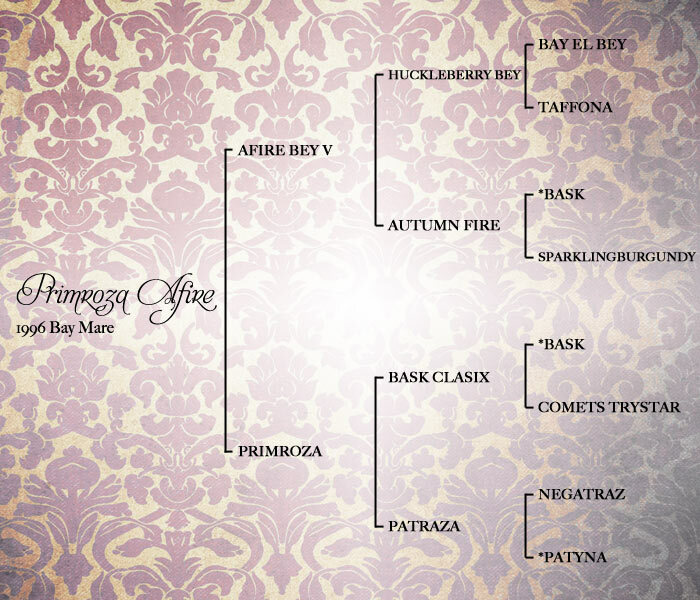 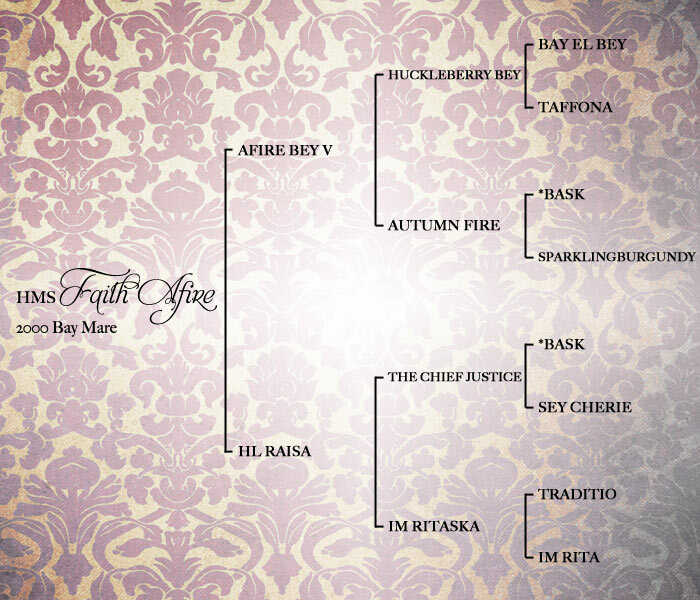 Futurity winner, Afire N Flames CB. 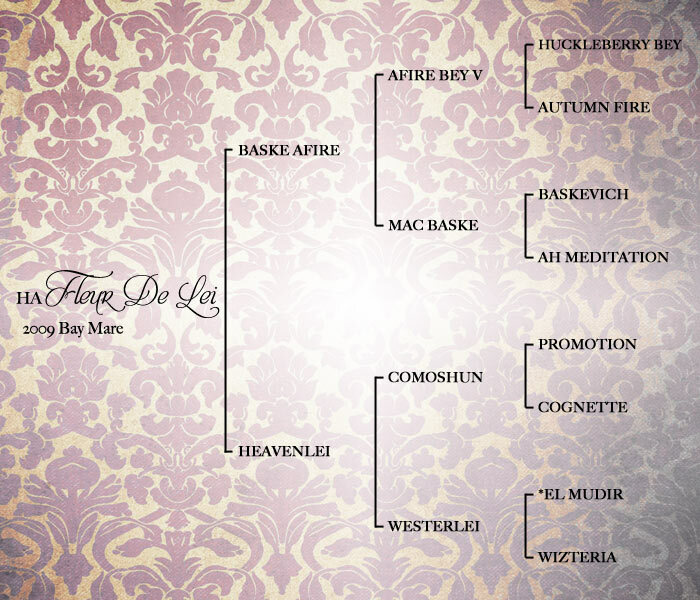 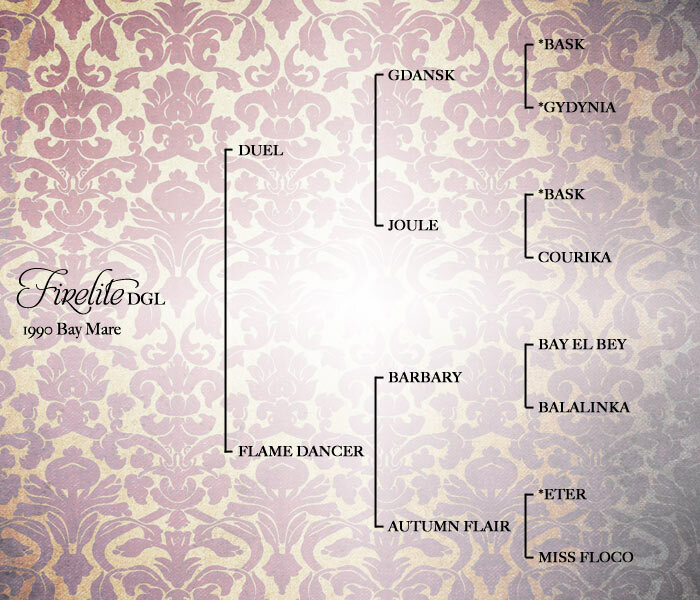 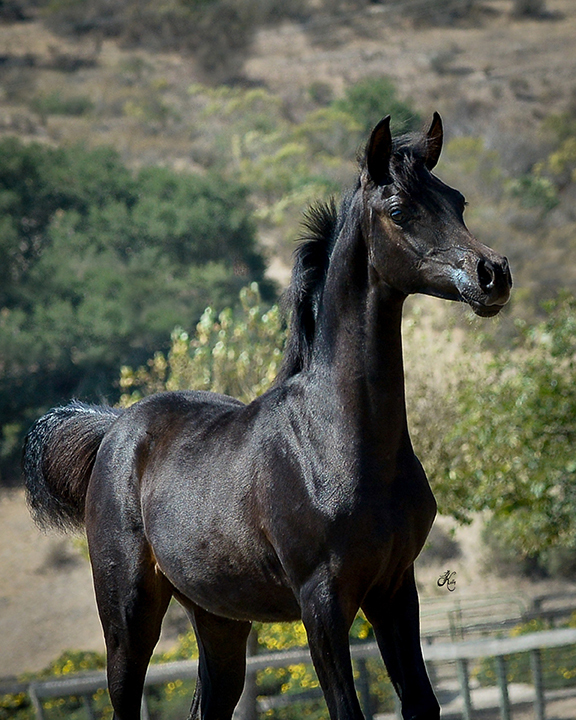 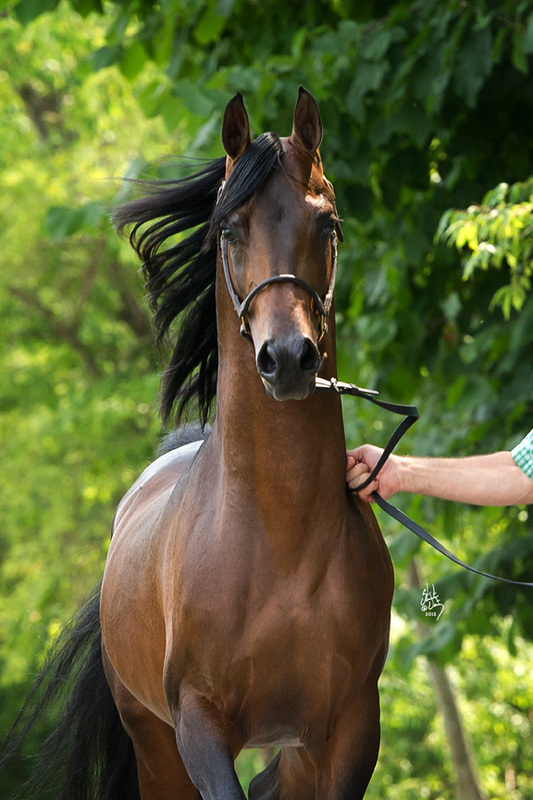 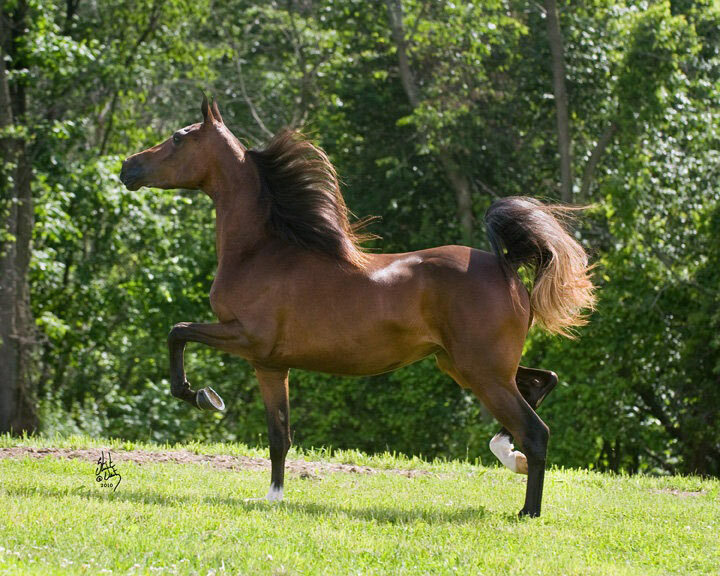 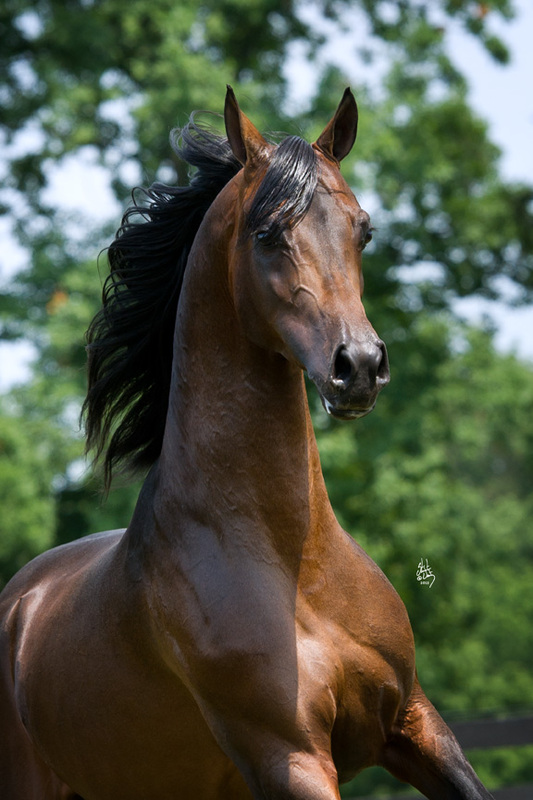 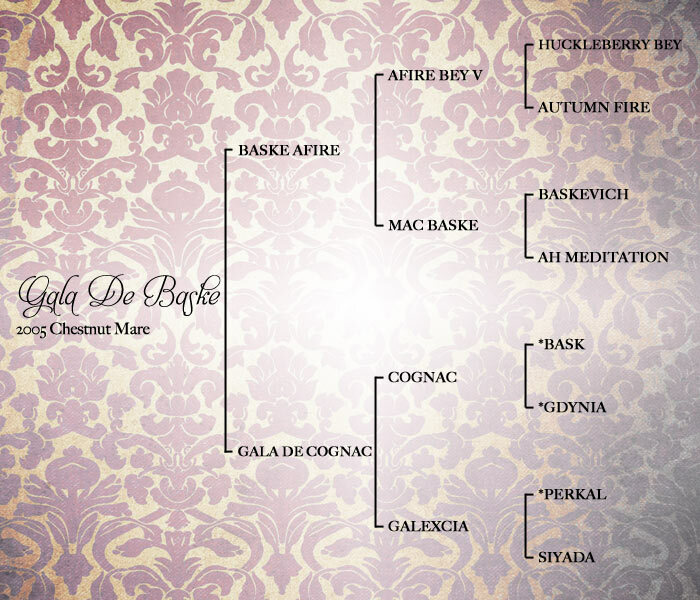 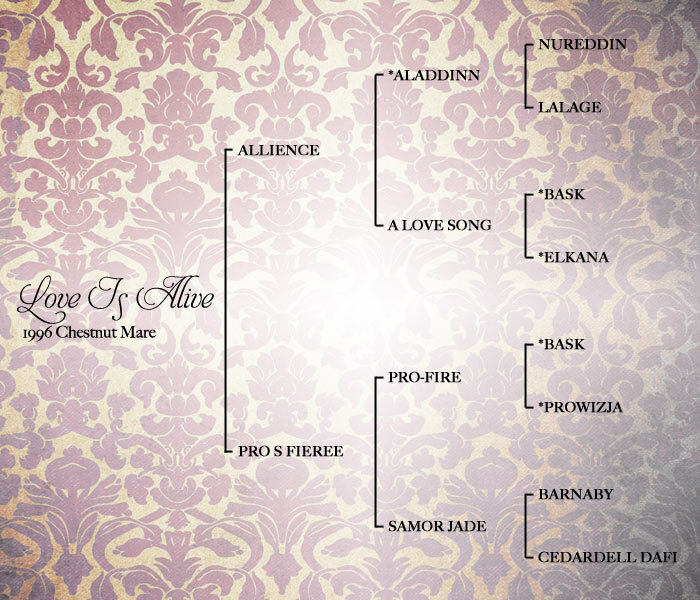 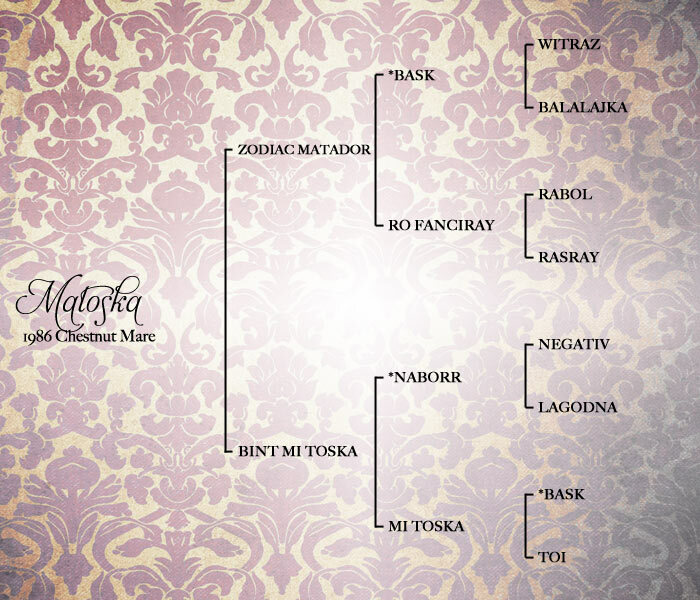 Pleasure horse, B Loved (by Baske Afire). 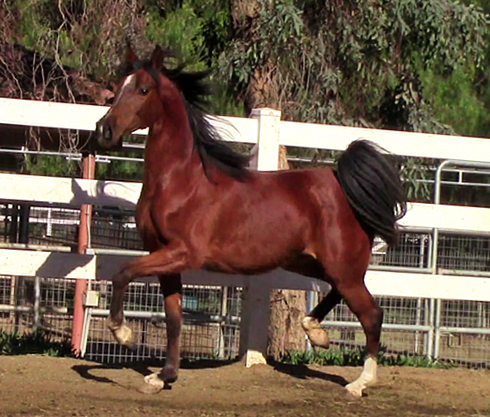 and our 2014 filly HRA Spring Fling (sired by Baske Afire). 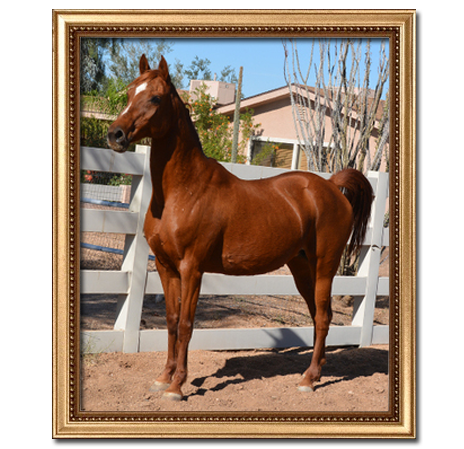 SOLD to Betsy Kubiak of Sugar Hill Farm! 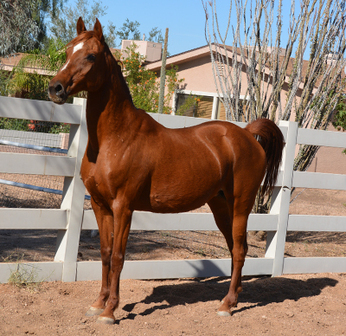 In foal to HA Toskcan Sun for 2016! 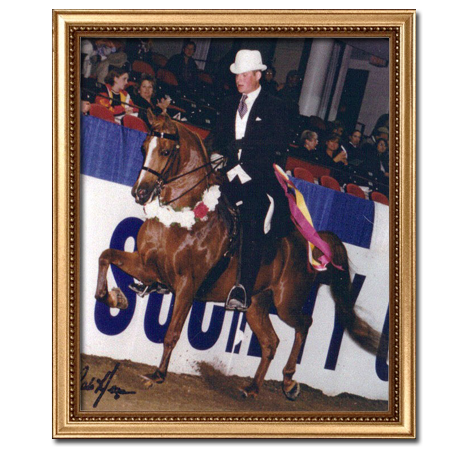 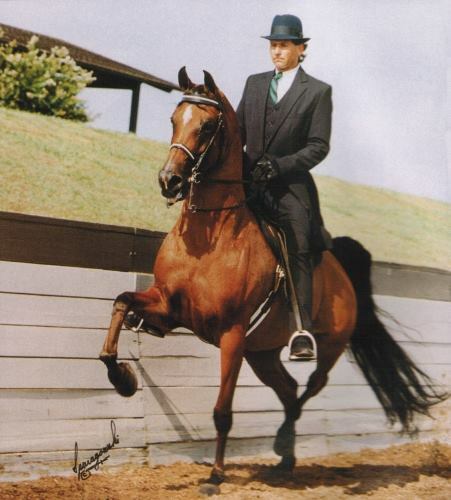 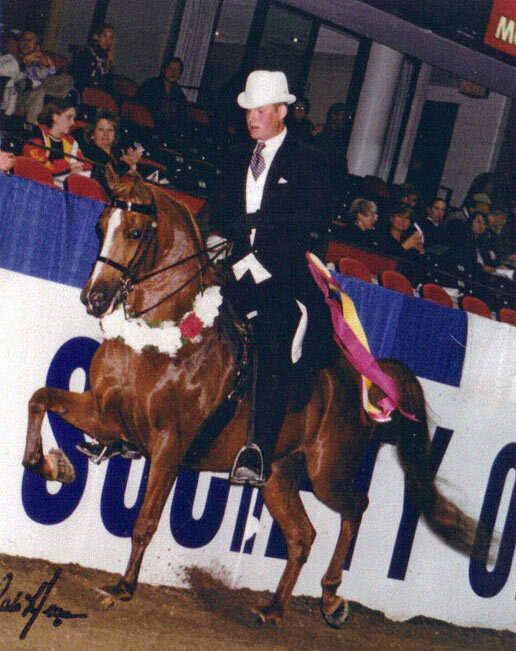 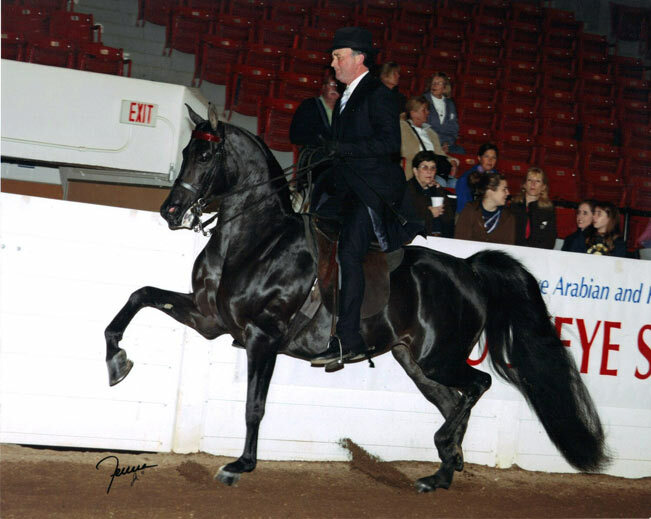 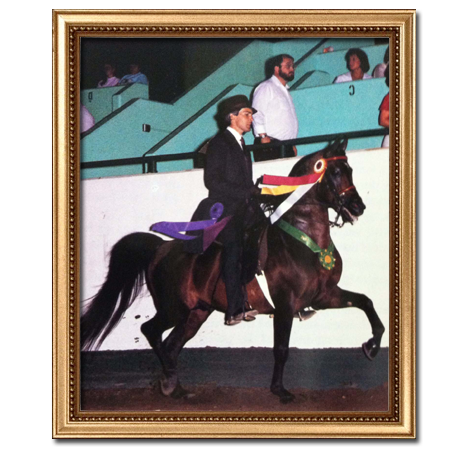 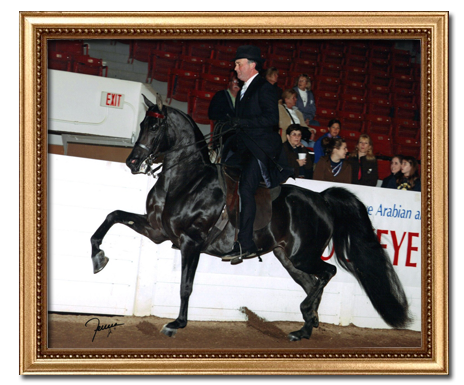 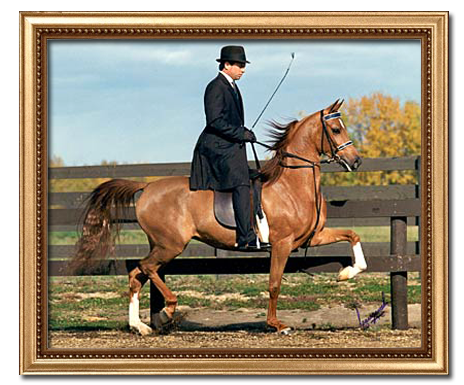 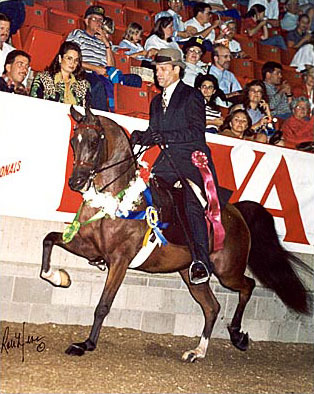 Dam of Multi-National Champion English Pleasure/Pleasure Driving mare, Expressly Bella. 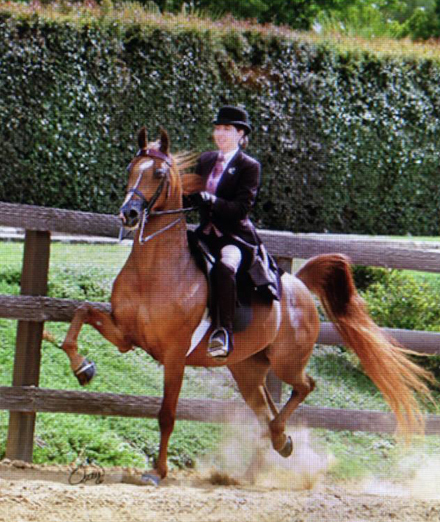 Country Pleasure Driving, English Show Hack, and Ladies Sidesaddle. 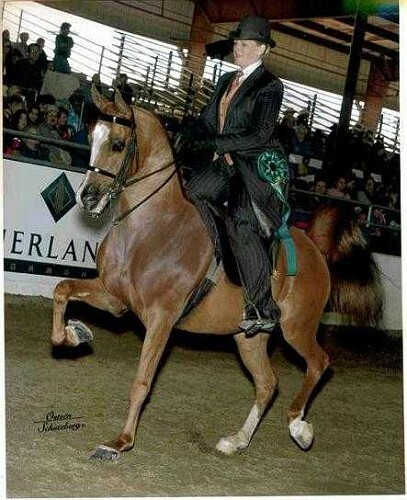 winning Bask daughter of all time. 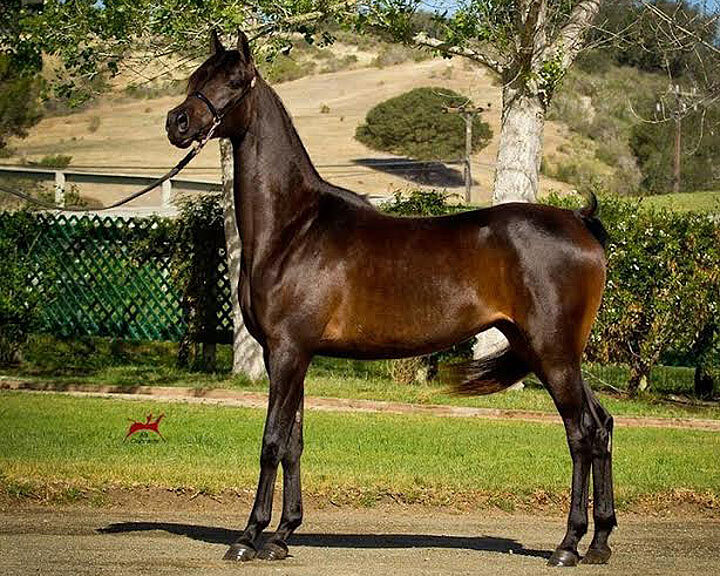 Dam of HA Toskcan Sun. 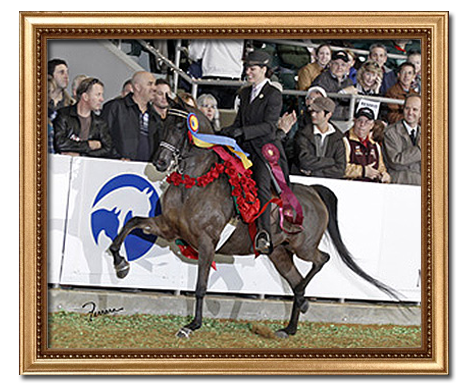 SOLD to Jacques Mostert of South Africa! 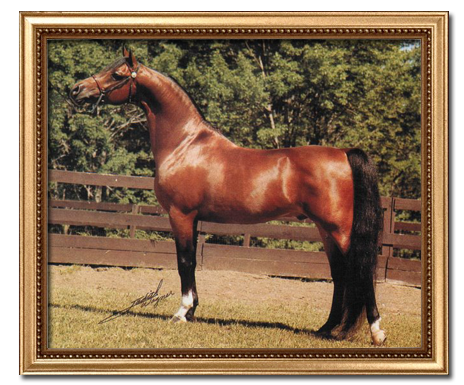 A maternal sibling to Multi-National Champion English Pleasure/Park horse, Magalad.